Do you sometimes get stuck with the business side of owning a private practice? Are you not sure what to spend money on when it comes to marketing? Do you often second-guess yourself when making business-related decisions? In this podcast episode, Joe Sanok speaks with Robin Waite who wants you to have a fearless business. 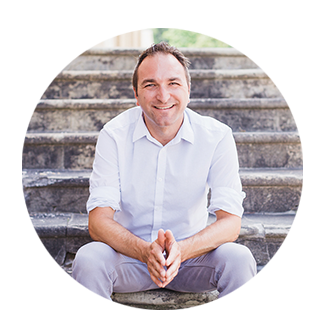 Robin Waite is a husband and father to two young girls, with a passion to help business owners set fearless goals and achieve great success. Robin is a business coach, regular speaker at various business events and bestselling author of two books, including the recent popular release Take Your Shot. He puts his decade of business leadership experience to work, coaching clients to reach their goals. After having a nervous breakdown just 3 weeks before his youngest daughter was born, Robin decided to shut down the business he was running at the time. His mentor, at the time, advised that he go into business consulting. 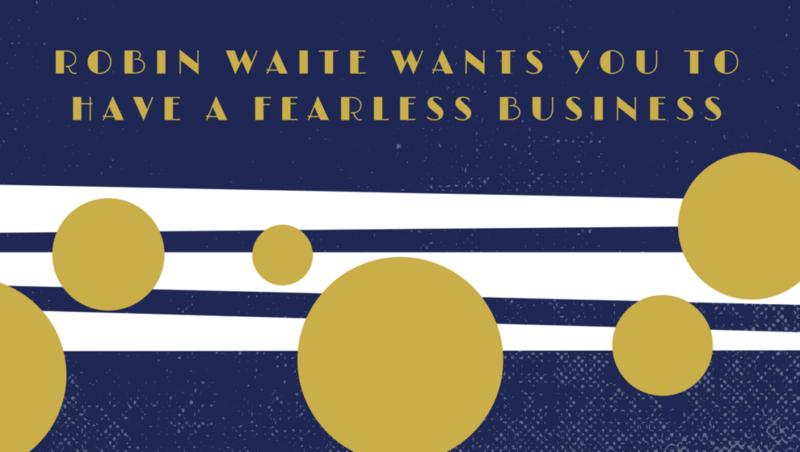 In this episode, Robin Waite takes us through his story of deciding to do business fearlessly. Now a successful business consultant, he also provides invaluable tips and advice on setting your rate as well as how to go about financing your marketing strategies. Take his FREE fearless business course, consisting of 20 modules, to become a business expert! When it comes to determining your price, you don’t need to compare yourself to the market to set one. Rather, base it on your worth. You just need a few people to recognise your worth – and be willing to pay it – and you’ll be good to go. You can also base this on your Customer Lifetime Value (see video below for more). Don’t skimp on marketing. The money you spend on the front end of marketing will always have an impact on the backend of your business. Furthermore, in today’s digital age, it’s easy to do a lot of marketing for free. Google My Business is a good example of this (see video below). About 80% of traffic goes through Google My Business before it gets to your website. Setting up Google My Business should be a major priority in your marketing plan. When you start spending money on a new marketing venture, don’t expect a return on investment. Rather, expect a return on information. You need to test different marketing strategies to see what works for you, and then you can simply increase the amount of money spent on certain channels. Being fearless in business doesn’t mean being reckless. It’s about taking positive action and not worrying about the backlash. In reality, there is not a lot of bad consequences for someone that genuinely wants to help others. [SEO stands for Search Engine Optimization. There are really basic things that you can do to rank higher in Google. You get to optimize your website by blogging, by linking internally, by having external links pointing to you, by updating your Google Business page – all sorts of different things. And, Brighter Vision has a course all about SEO, things that you can do to rank higher in Google. It’s totally free for Brighter Vision clients and it’s launching in Mid-May. It’s so exciting. It’s the kind of teaching that worth teaching with Practice of the Practice so that you can go even deeper. If you want to sign up for this course and get a website with Brighter Vision, hand it over to brightervision.com/joe. And, if you’re already a Brighter Vision member, go take that course and let me know how it goes because I know it’s going to help you rank higher in Google.] This is Practice of the Practice podcast with Joe Sanok – Session Number 298. I’m Joe Sanok, your host, and welcome to Practice of the Practice podcast. Thank you so much for rating, reviewing, subscribing, and sharing this podcast with people. We could not get to a 100,000 listens a month if it wasn’t for you sharing this with people that you know would like it. And, it’s amazing that we’re now past the 1 million downloads point. Honestly, we just want to keep making great work that totally disrupts the private practice industry. So, thanks for being a part of this mini-revolution, “mevolution.” That’s kind of weird. I don’t know if “mevolution” should take off. It’s kind of a weird word. Well, I’m wondering what you’re scared of. What are you fearful of? What triggers you in your business because there are things in all of us that trigger us. Maybe that’s when that bank accounts get low, or the phone isn’t ringing quite as much, or you just don’t know what to do next because you see so many opportunities, so you’re paralyzed by perfection. Maybe you don’t feel like you’re good enough. Maybe you feel like, “man, everyone else has their act together.” Or, you’re in online communities and it feels like everybody’s rocking it out, and you don’t know what’s true or what’s not true. Robbin is going to be sharing with us how to have a fearless business. He teaches people all day long about how to grow, scale, and to really dive into some of the deeper things. I’m really excited to have Robbin on Practice of the Practice podcast. Without any further ado, I give you Robbin Waite. [JOE] Well, today on Practice of the Practice podcast. We have Robbin Waite. 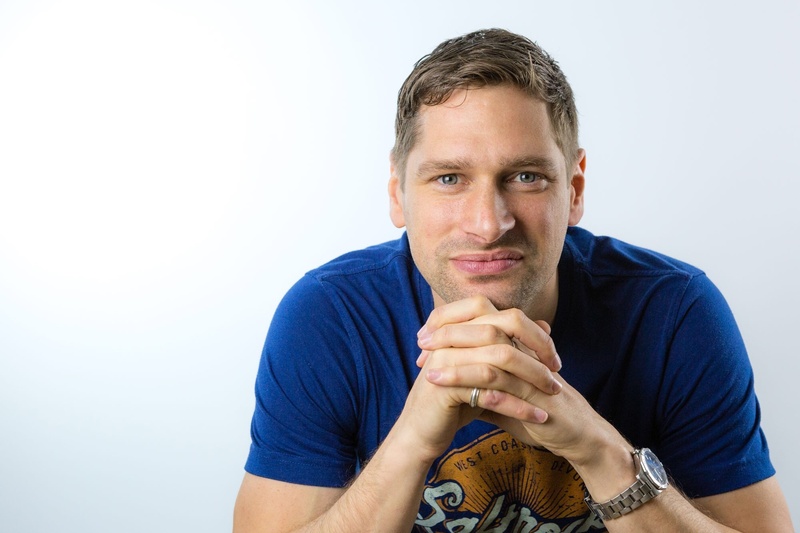 Robbin is a business coach, author, speaker, and works with clients to set goals and achieve success through his coaching program born out of a deep passion for personal and business development. Robbin puts his experience to work for his clients. Robbin, welcome to the Practice of the Practice podcast! [ROBBIN] Thank you for having me, Joe. I really, really appreciate your invitation. Thank you. [JOE] Yeah, I always love talking to people that are a little bit outside of the counseling industry, outside of the private practice but still, pretty darn align with their business goals and what they do. Tell us a little bit about yourself. How did you get into this work? [ROBBIN] It’s a little bit of an accident really. I actually run a creative agency for about 12 years. So, I’m kind of very match on the ton of money camp. I’ve got 2 daughters. One turned 4 years today, and the other one is about 18 months ago. It’s no coincidence I started coaching 18 months ago. [JOE] That’s so funny. I’m going to pause right there. I have a 6-year-old and a 3-year-old. When our 3-year-old was born, in the United States, we have the Family Medical Leave Act, and so you can leave for a certain amount of time. It doesn’t have to be paid but I took the full one to see if I could really launch this into a full-time gig and at the end of that time, I went to my boss, and said, “you know, I’m going to leave.” It’s funny how kids make you want to do different things with your time. [ROBBIN] Amazing. I think having children is incredibly inspiring, but it does make you kind of take a good long hard look at yourself and your life and make you realize that there’s a little bit more to life than, I think sometimes, they let own especially in sort of younger years. [ROBBIN] I was busy and sort of running the agency for 12 years. It’s about 200,000 all over and has a handful amount of staff recently exit with my business partner because he’s kind of falling out. He wants to go freelance again. We had a caesarian with youngest. About 3 weeks before her due date, I don’t know why but I went out with my cycling buddies. Literally, I just had a bit of a sort of nervous breakdown about going off on paternity leave. Funny enough. You know, having the staff to pay, clients to find, and just all the hassle and everything which comes along with it. I really enjoyed my paternity leave. I got sort of 4 weeks totally off spending time with my family. And, I spent a couple of months really sort of getting comfortable with the term business coach, what it meant to me, what sort of clients I felt I could help, how much I was going to charge for it, what my coaching program looks like, how I was going to launch myself into the sort of local market, and the rest is history really. That was in June 2016. By mid-October, I’ve been going for about 6 weeks and picked up 14 clients. [JOE] I know that when you have kids, especially young kids, and you have a new business that’s growing. You have all these ideas. “I could do this.” How did you kind of turn your brain off and be in daddy mode? Was that a struggle for you? Is that easy to do? [ROBBIN] Well, it was easy because I had no agency to run. [JOE] So, compared to your own life, it was awesome! [ROBBIN] Yeah, basically. You know, I contrast that with my first charge. I kind of tick the 2 weeks and I have to rush back to the agency. It was hugely stressful. This time around, I was kind of determined that I was going to make most of my time off and spend some time with my wife whether she appreciates it. I don’t know. That decision was easy. I mean there were financial implications. I was quite lucky that there was some kind of resurgent recurring revenue coming from that business. So, it wasn’t a total sort of jumping out the frying pan, hence, the fire situation. I have some reserves to fall back on. But, in terms of like my sanity, it’s definitely the right thing to do with hindsight. [JOE] Okay, so, you launched that, you gained 14 clients. Where do you go from there? [ROBBIN] Oh my, god. My first year, I think I did about sort of £60,000 or about $80,000-ish. And, scaled-up, this year I’m punching about £200,000 on my own as opposed to having some staff. Primarily, I’ve done a lot of one-to-one coaching over the last 18 months. That’s got me to a point to where I say I’m funded and got a comfortable lifestyle comparable to what I had with the old agency. My plans for this year is I’ve got a group coaching program, so my plan is to kind of scale that. I’m really investing quite heavily too, in terms of like marketing, self-development, personal development, things like that just to start to work out how to grow a big coaching practice. And, I’ll be taking my first coaches, hopefully, in the next sort of 3-6 months. [JOE] How did you set your prices right when you started out? [ROBBIN] It’s just funny because I coach people on this now but one of the first things I did is look at the competition, kind of just to see what they were charging. Until I got to a point where I really realized what my value was, you know, what I was worth to people. So, I was charging sort of about £100 or $125 an hour at that particular point. I’ve gone through sort of pricing increments and ended now to the point where I’m now charging about 3 times that for coaching. Actually, it’s a lot more than a lot of the local people. What I’ve realized is that the mistake I made is most people look at the competition and see what they’re charging. They will sort of work out an average and sort of charge something in the middle. Actually, 95% of people might be charging the same price but the question is, how do we know that they are actually right? The reality is, I don’t know how many small businesses there are in the US or UK. There’s about 3.9 million small businesses, and 70 million people, you know, in population. For the therapist, and you’re already into a listening or coaches, you actually need a small handful of those sort of millions of people in order to have a really successful, prosperous practice. You don’t need to compare yourselves with the competition. Without being outrageous, you can kind of charge what you want, what you feel your worth because you only need a few people to find who are willing to pay that, and they get your true value. [JOE] Have you found that it seems like people often would think about just their time versus the value that they bring? It seems like people really think about the value. For example, a lot of the individual and group coaching that I do will be in a mastermind group of 6. And, it’s all six-figure, seven-figure practices. If they’re paying $700 a month to be in this group, it’s like, “wow, so much money. Oh my gosh. Why would I pay that?” But then, when you really look at… Imagine if you add one extra commission to your practice, like, how much is that going to bring in? How quickly will you be able to level up? That value is oftentimes, I think, where most of the effective coaches set their prices versus just I want to keep up with everybody that’s around me. How do you frame that out, in terms of value versus, maybe, time? [ROBBIN] My clients always sort of work with them to understand what their customer lifetime value is. You know, we get caught with what I call the “front-end,” the actual sales process, and think about the cash that we can collect straight off the bat. I’m going to take, for example, you know, I’m thinking about my web design business I used to run. You might have a £10,000 or $10,000 project with $50 a month support in hosting and coming after it. You know, over the course of the year, that would have grown to about $10,600, over the course of 3 years, $11,800 customer lifetime value. By the time it takes 12 months, 50 times 12, plus the original $10,000. I don’t know if this makes any sense. [JOE] Yeah, no, no, no. Go ahead. [ROBBIN] But, if you were to look at it slightly differently, imagine if you had, then, 10 projects that were only worth $50,000 each but each one of those had a $50 support in hosting fee afterwards, all of a sudden, when you monetize that customer lifestyle value of those 10 projects versus the initial 1 project that I just talked about, it’s worth about $28,000. So, it’s worth about 3 times the amount as that one big project. [JOE] You could say pounds. I think it’s awesome. Sounds cool. Are your dollars all day here? Makes me feel like I’m not just this like ethnocentric American. You know, say pounds. [ROBBIN] I’ll stick with pounds. I’m comfortable with that. So, over the course of the year, that’s somebody paying 8,400. In fact, they’re going to ask you the question. Imagine we sat in the room together, sat across the desk together, and we’re having a chat. I didn’t drive to that meeting in a car. I drove over a mini-bus, and I’ve got 10 clients, 10 of your perfect clients who are going to sit, who are worth $8,400 each year. That’s $84,000 worth of business. Joe, how much money? What I’m going to do, I’m going to go out to my mini-bus. They’ve got black duffle bags full of cash, and I’m going to bring them all in, empty their cash out on the table, and you’ve got to give me some cash. How much are you going to give me? [ROBBIN] Okay, so the most common answer I get is 10%. I would normally ask Joe because I’m not greedy, but I go for 15%. If you, then, reframe that slightly and think about how much money are you spending on marketing. 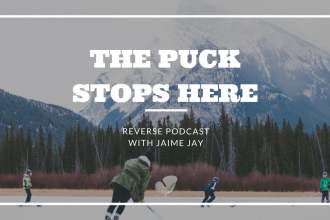 You and I, sort of… Hopefully, some of your listeners are going, “Yeah, actually, I would probably spend 15% of my turn over a year on marketing.” I asked an audience of small business industries recently. And, there were only 2 people in that audience who would have spent 15% of their turnover year on marketing. The reason why people really struggle with this is that there’s this thing called “magical marketing mystery machine” that you kind of got to work out. When people spend money on marketing, they expect clients to come in but actually, what we’re doing is speculating. The thing is that what I presented to you is well I’ve got 10 guaranteed clients for you but that’s the difference between marketing. But, you still have to invest the money in marketing and work out the marketing that works for your business. Many people don’t realize that, so they don’t see that they’ve got to invest money upfront in order to get the clients from the backend. [JOE] Well, then, how do you bridge that gap between your hypothetical situation of guaranteed clients, you know, ready to come in to do counseling and the hypothetical kind of bat that you’re taking on marketing? Because that’s a big jump for a lot of small business owners. They’re like, “I’m going to feed my family. Why would I put a $1,000 a month into marketing on speculation?” So, how do you help people frame out that speculation of marketing or have more certainty in marketing? [ROBBIN] A lot of it surrounds the mindset. That will be the money-based type of businesses. There will set sort of marketing activities that you can do. There’s always a tipping point as well. To start off, things like Facebook advertising, it’s so powerful today. The information that you can get out of, you know, that Facebook holds on pretty much 2/3 of the world population, I think at the moment who are registered with Facebook now, you can run a simple Facebook ad campaign to offer people that first treatment for free. Everybody goes, “Oh, what would I want to do it for free? I’ve got cost of the practice and things like that.” But, the idea is, actually, what you got to do is build trust and spend time with prospects and show them your value. Show them that you can help them. Again, people are looking for that immediate return on the front-end. They want to make the sales straight away and get the cash in because that’s what’s important to them. But, actually, if they build enough trust with somebody, and they come back for 10 or 20 treatments, they’ll end up coming back sort of weekly for the next 5 years. You can see the value in it. In terms of that, how I reframe it, is “Okay, do you have a budget that you can spend? Yes or no?” Normally, they would say, “Yes, I’ve got hundred pounds.” Well, okay, you know, “what can we do with that £100 in order to generate your first few clients?” It could be Facebook ads, you can go to some networking events. There’s lots of stuff that you can do that’s very low cost to get the first 2 or 3 clients. Those first 2 or 3 clients will cover that £100. Okay, why don’t we ask them to refer us to a friend? Why don’t we get some reviews? Google my business for example. There’s a lot of stuff I don’t think people realize you can do for free or cheap. [JOE] I do want to pause you a quick… One ethical thing in the United States is specifically for counselors asking for reviews we’re not allowed to do. That’s just one thing that’s typical in the business world but because of the confidentiality side and all of that, but we can do is we can ask for reviews from colleagues, from friends, or families, to get that momentum with our Facebook reviews or with our Google Business reviews. So, I just want to kind of go back to that part because I think that advice is good. It’s just one of that kind of small nuances within our field. [ROBBIN] Oh, so now I’ve learned something new. This is similar sort of principle here in the UK, but we leave it down to the client as to whether they feel happy to kind of use their public Google profile to leave that review basically. They don’t have to put kind of details about, you know, what they’ve been discussing with their therapist, counselor, or whoever they might be. Google My Business is such a powerful tool. It’s this thing of unconsciousness incompetence. You don’t know what you don’t know. So, if people don’t know these tools are out there, they’re always going to struggle. It’s my job to say, “Okay, I’ll take this budget, but these are the places where you should invest it.” Okay, you make it a no-brainer basically. [JOE] I just want to go back to Google My Business. I don’t know what that is. When you search for a restaurant, a therapy practice, anything, that little map kind of pops up on Google and has those little pin drops. And the top usually, three businesses will be shown, and when you look at most counseling private practices and any town other than really big markets like LA, New York, Chicago, London, you’re going to see there, they typically only have 3-5 reviews. When you think about it, can you get 10 people to give you a positive review? Probably. I mean you host a potluck with all your friends. “Hey, will you review me as a friend.” “I’m not a client but I know Joe. He’s got a great practice.” There are these ways that we’re learning from Robbin that you can definitely leverage that free advertising. And, Google My Business, to me, is one of the best places especially when you’re starting out to put that time. [ROBBIN] Hundred percent! And, you know, Google My Business is a really interesting one. They’ve only really started to heavily invest in that platform over the last sort of 6-9 months to the point that you can now put a post-up on your Google My Business listing. It’s almost like having a blog on Google My Business. It now tells me that Google wants to drive people through that platform. And so, if you have a local business, it’s called “local search engine optimization” or local SEO. If you have a local business like if you are a counselor or therapist, it’s the perfect place because about 80% of the traffic goes through Google My Business now before it gets to a website. That’s the next. When your clients or listeners have a website setup but again, if most of the traffic is going through Google My Business, actually, that should be the priority. Whereas I see a lot of small businesses, they’ve got a website. There are social media platforms out there. There are third-party tools that you can get set up for free to tell people about your business. [JOE] That’s so awesome. So, what about AB testing? Do you talk to people about kind of AB testing when they’re doing that marketing when they look at 2 different platforms or 2 different, let’s say, Google Ads and Facebook Ads running those concurrently and seeing which ones are better? [ROBBIN] Yeah, I would always encourage people to try both out but it’s difficult because that’s 2 different platforms, 2 different user bases, but again, if you’re not testing and measuring, if you’re spending money on Google Ads but you’re not actually measuring like how many people clicking on your ads that actually turn into clients, you can have a thousand people coming through Google Ads but nobody turns into your client. But, you can have one person come through Facebook Ads, and they’ve become clients. So, which one is better? I very always sort of encourage my clients to split the test into platforms. Rather than running one ad type, Facebook Ads, for example, try video, try disruptive image, or whatever it might be. Try different sort of media and split test that way. Again, most people don’t test and measure. They just run the ads and kind of hope that it’s working for them. [JOE] Yeah, yeah. I think that’s the key. When you do it long enough, you can know that if I put this, if I put $100 into a Google ad, I know I’ll get 1 client that will come at least seven times for a $100 a session. It’s totally worth it. Over time, if you’re not keeping track of which ads are working or where you’re putting your money, you just can’t start to predict that. Whereas, if you do some of the AB testings, then you’re able to kind of predict that. [ROBBIN] I would also encourage people as well. When you start to spend money in a new form of advertising or marketing, don’t expect a return of investment. See it as an investment to get some information back. And, see that it’s a bit of a lottery because what works for my business, and what works for your business, Joe, or what works for any of your listeners’ businesses will be different for each person. I know things like my books, interviews, and speaking the events I run, they all get me, clients. Now, I’ve worked that out. It took me sort of good 12 months before I settle down my perfect 3 things in my marketing mix. But, when I worked it out, I just, then, turn the volume up on it. I think this is the mistake that people make is, though, they do some Google Ads and spent $10. When they didn’t get anything out of it, “Google Ads is rubbish.” And you’re like, “Well, did you do it constantly? Did you try it different times of the day?” Imagine it’s the school holidays, for example, but your product is targeting 35-45-year-old women who are likely to have kids, and you’re sending a post out during the school holidays in a Tuesday morning, they’re going to be off like down at the swimming pool at the park, or something like that. You’ve got be really clever about when you’re doing marketing and make sure that you really invest in it. You have to understand the platform, and test, and measure. Don’t see it as a waste of money. Just question whether you do it at the right time, whether you targeted the right audience. Did you do it consistently enough to get data out of it to definitely say, “no, this didn’t work out for me.”? [ROBBIN] Let me explain “fearless” first. Some people, occasionally, mistake it for reckless. So, it’s not about being reckless in business because that would be daft. But, it’s about fearing the little bits of business. Again, it’s that sort of sticky plasma thing where you have to peel that thing. Step outside of your comfort zone a little bit to make advances in business. For example, going to a networking meeting and standing up doing 60-second pitch in front of somebody. A lot of small businesses I know, the first time they do that, they’re absolutely petrified. They mumble their words. They beat themselves afterward because they didn’t get it quite right. Or, perhaps, actually, I’ve got to do some Facebook Ads now but I’m a little bit scared of what do I write. Rather than just kind of like doing a blog column, getting it out there, they’ll procrastinate on it and never get out there. Really, for me, you just need to take positive action. Just fear those things a little bit less. Don’t worry about the backlash. The fight, flight, freeze thing is quite a major thing. Fight-flight-freeze, the reptilian brain is designed to save us when we’re escaping or running away from lions in the plains of Africa. The worse thing that can really happen to us in business, I suppose, yes, we could potentially lose a bit of integrity. Perhaps, somebody could potentially die. I guess, worst case scenario. But the reality is, most small business owners, there’s not much bad stuff that can come of if you’re a genuine person who wants to help other people, there’s not much bad stuff that can come of that. Don’t hold back. If you got something you want to say, write a LinkedIn post, write a Facebook post. Just get it out there. If you feel that’s going to help somebody else, and that would ultimately end up helping you. [JOE] Yeah, I think one of the things with people that have a higher education is they’re so used to writing. In term papers, they write these theses that they spent months working on. And then, they turn it in. Their adviser or professor gives them a pass/fail. But, in the real world, their business, if you write a blog post and you have spelling errors, you didn’t cite something, or you want to change it in the future. You can go back in and you can edit it. The idea of being paralyzed by perfection, I think, is more pronounced to people that have gone through a higher education than people that are just trying a business for the first time. So, for therapists that are listening, to our private practice owners, I’d definitely say don’t be paralyzed by perfectionism. More importantly, get things out there. See what people resonate with and amplify those things rather than just maul over that blog post for the next 3 months. [ROBBINS] Absolutely, you know what, I kind of feel as well, if somebody’s not right in content that they know can help people, it’s almost a little bit selfish because it could be helping people. Again, we’re not here to save the world. We can’t help 7 billion people. There are guys out there doing that, you know, the Richard Bransons of the world, the Musks of the world. They’re trying to change the world but for us, small business owners, we can just have a small tribe of people. We can help. We’re a merry band of brothers on this journey that we’re going through together if that makes sense. Get those posts out. The thing is if somebody turns around, and you’ve heard the word trolling and things like that. Yes, occasionally, it does happen. Again, there’s delete and block features on most social media profiles these days. Those people have automatically segment themselves out of working with you. It’s like natural selection. [JOE] And you can turn off comments in your blog post, which would actually encourage most therapists to do because sometimes people think that the comments section is a form to you, to email you. They may put sensitive health information there. I think, for me, for most therapists, in blogs, it’s important to turn off the blog comments anyway and just have people reach out to you directly. Robbin, if every private practice owner in the world are listening right now, what would you want them to know? [ROBBIN] I think that the key thing is that it’s really just about being brave. Don’t kind of go with the status quo. Obviously, there are rules that work within a sort of therapy-based businesses that you’ve got to stick to but in order to break out and have a bit of fun with the business, and start really enjoying, and start scaling and growing the business, you’ve just got to be brave, basically. Just take that little leap of faith and tell people about what you do. [JOE] Awesome. Well, tell us a little bit about Fearless Business that, of course, you’re giving us for free, and how people can access it. [ROBBIN] Cool. So, the Fearless Business program, I tend to do much lesser with tactical stuff much more so about the strategy. It goes through sort of a goal-setting, something called the product architecture model, which I’ve used to help about 30 businesses over the last 12 months to double their turnover. It talks about how to price your products, your services, and the difference between products and services, and how to take your products to market. There are about 20 modules in there. The idea being, it’s not something you want to consume, sort of, within the space of about a day. This is something you want to go in and just do a module a week and gradually just build up sort of your learning. I’m going to create a page on my website. It’s robbinwaite.com/practice and that will have a link to the course on Udemy which will be free for everybody’s listening. [JOE] Awesome. And we have links to that in the show notes as well. If you head over to the practiceofthepractice.com, just click and listen to the podcast to see all the show notes there and you can find Robbins’ notes there as well. Well, Robbin, thank you for being in the Practice of the Practice podcast! [ROBBIN] It’s a pleasure. Thank you for having me.